Exceptional one floor living in this fabulously open, contemporary ranch. Flowing effortlessly from room to room makes it perfect for entertaining or relaxing in your own personal oasis. Private and secluded, this 2.1 acre property feels "worlds away" from the hustle and bustle, yet this gem is only 10 minutes to main street and all of its' amenities. Living room and family rooms both have fireplaces, vaulted ceilings and hardwood floors throughout. Banks of windows and skylights allows mother nature to stream its beautiful light throughout creating a warm and relaxing ambiance. All bedrooms are on the main level and home includes a 20' x 10' loft accessed by a sweeping, spiral staircase offering potential home office, art studio or sleeping loft. Oversized master bedroom, walk in closet and master bath with huge glass enclosed shower. 2 additional bedrooms, all with hardwood floors share an updated hall bath with double vanity. On top of all this glorious main level space, there is a full length, unfinished, walk out lower level with fireplace. Picture yourself living in this contemporary beauty, while relaxing on your bluestone patio. 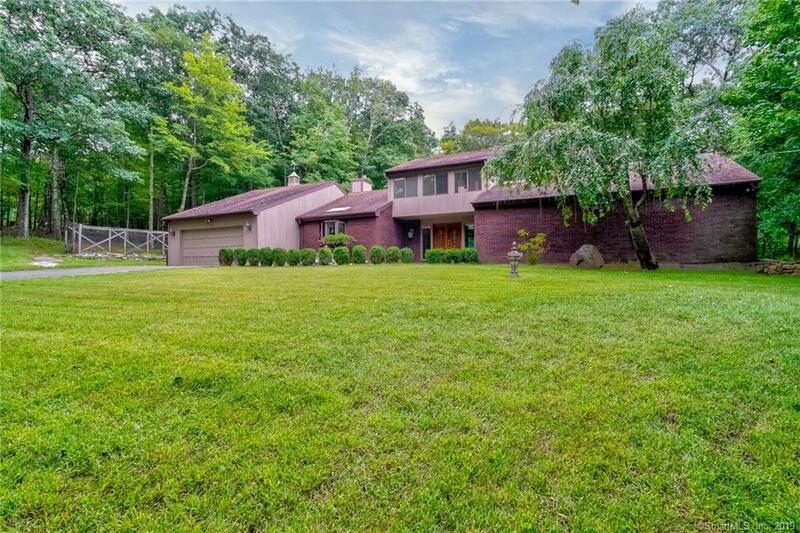 Come see for yourself the beauty and tranquility that 7 Pine Lake Road offers, while at the same time living in CT's #1 town. Specializing in Ridgefield,Connecticut and Redding,Connecticut Real Estate, Ridgefield and Redding new and resale homes, land, condos, luxury homes and other properties in Fairfield County,Connecticut. Jack Lehman and Paul Rabstein, providing a superior level of informed, professional real estate services to buyers and sellers in Greater Fairfield County, Ct. and Northern Westchester County, N.Y.